Prof. François Mariotti, PhD, is Professor of Nutrition within the Human Biology and Nutrition department at AgroParisTech, the Paris Institute of Technology for Life, Food and Environmental Sciences (Paris, France). He is the chairman of the standing committee on Nutrition at the French Agency (Anses). He is an expert in protein nutrition. 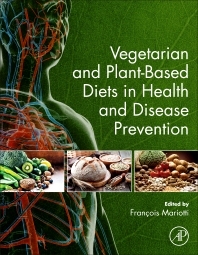 He has worked on protein and amino acid metabolism in humans in health and disease, as well as nutritional adequacy of diets using epidemiological approaches, with a special emphasis on dietary plant vs. animal protein.